When Robert Burns arrived in Edinburgh in 1786, he made a pilgramage to the Canongate kirkyard to pay his respects to the young man who had inspired his poetry and whose grave lay unmarked for 12 years since his death at the age of 24 in October 1774. 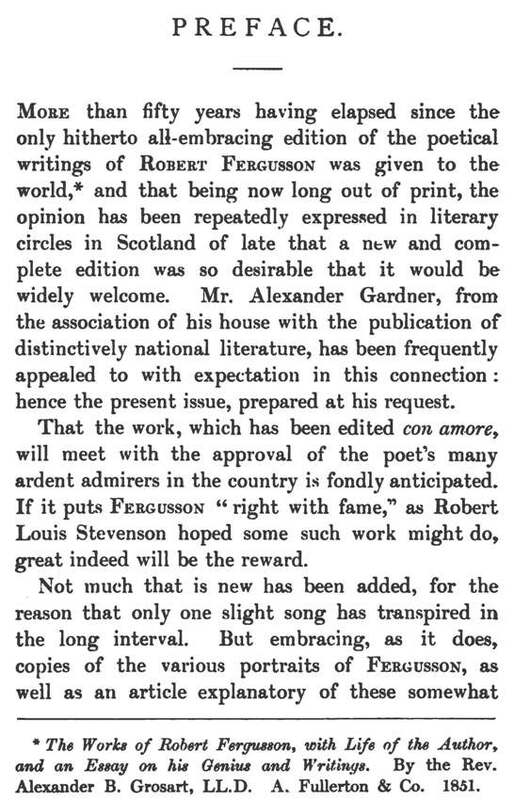 Had Robert Fergusson lived and written more than one slim volume of poems, Scotland might now have two national bards and celebrate Fergusson Night with a feast of his favourite seafood on September 5th, the date of the neglected poet's birth in 1750. 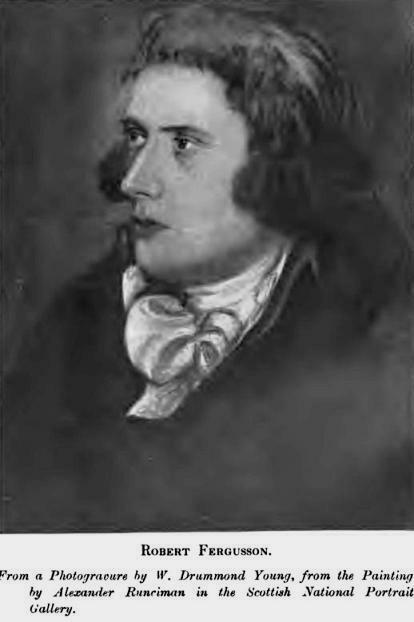 Fergusson was born in Cap and Feather Close, in the Old Town, his parents having moved to Edinburgh from Aberdeenshire some two years earlier. Robert's health was delicate. At St Andrews University he began writing poetry and it was soon clear he had a gift for satire. He was popular with his fellow students, sensitive, high-spirited and quick-tempered. Returning to Edinburgh in 1768 without a degree, he found a job as a clerk in order to support his widowed mother. 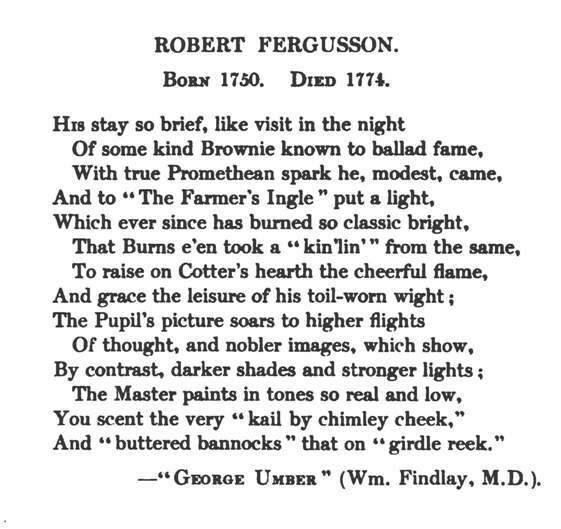 In 1772 Fergusson began writing with confidence in the Scots tongue. His poems invoked vivid pictures of life in the Old Town. 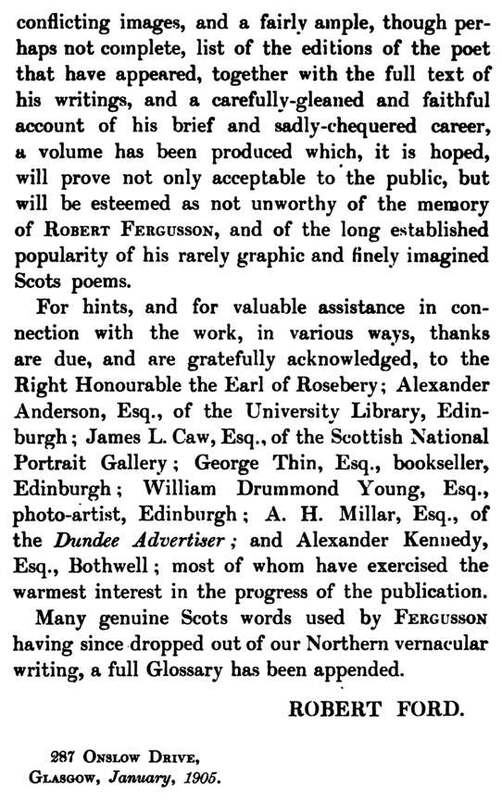 These were the poems that made his name, and people now spoke of him as the successor to Allan Ramsay. At the end of 1773, however, acute depression compelled Fergusson to give up his clerking job, and a bad fall some months later led to a deterioration of his mental condition. He was admitted to the public asylum, where he died in October 1774. Robert Burns was to describe the young man as "my elder brother in misfortune, by far my elder brother in the muse".